Don't wait! Place your order or book your reservation to prepare or celebrate Passover or Easter in Union Square. Whether your weekend is filled with hot cross buns, bunnies, and Easter Eggs, or Matzo Ball soup, brisket, and macarons, prepare now for a delicious celebration. From the perfect Easter brunch spot and Easter Egg fillings, to freshly baked desserts, nothing brings family and friends closer like a meal together. This Easter Sunday (April 1st) follow your morning church service with brunch as classic and chic as your Easter attire. Choose from Union Square's staple offerings like Union Fare, Bowery Road, Union Square Cafe, Gotham Bar and Grill, and Barbounia — or try something new with brunch from around the world! One of the best parts of Easter is the infamous egg hunt. Make sure your colorful vessels are worth the search with sweets from Dylan's Candy Bar, Kellogg's NYC, and Whole Foods. Choose from colorful gummies, chocolates, and rice krispie goodies to keep the day sugar-buzzed. For goodies that won't quite fit in an easter egg, head to the neighborhood bakeries. For a limited time, Maison Kayser is selling chocolate bunnies, chickens, and eggs in addition to their decadent and scrumptious pastries. 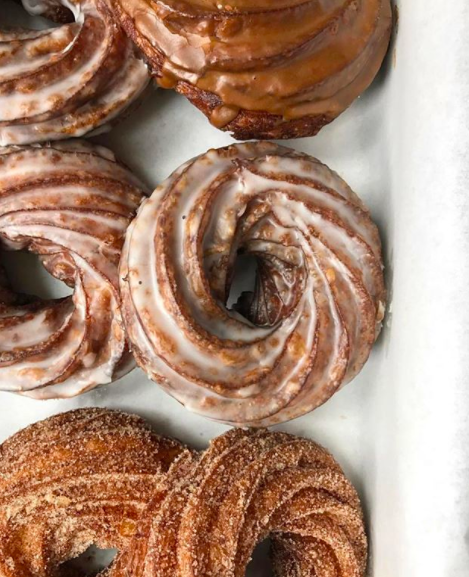 Daily Provisions is known for their freshly baked breads, and doughnut goodness all year round. For one-bite delights, Baked by Melissa features a seasonal flavor trio of Dark Chocolate, Marshmallow and Chocolate Creme Egg cupcakes! 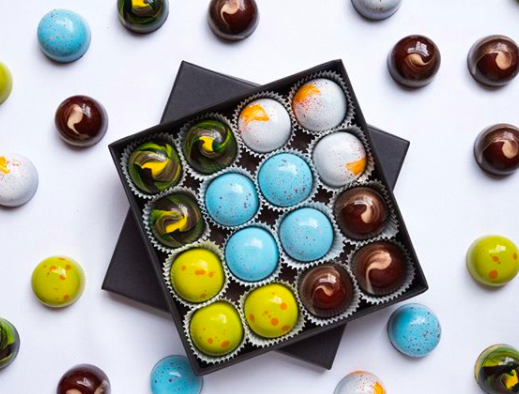 Or, every Spring, Gotham Bar and Grill introduces a Spring Collection Bonbons Box featuring five different flavors (Thai Curry Banana, Passion Fruit Caramel, Apricot-Cashew, Mango Matcha, and S'mores)—pick them up in-store or order online. For the perfect pop of color, pick up a beautiful floral arrangement from Whole Foods or Union Square Greenmarket to invite Spring into any home. This Passover (March 30th), step up your flour-less delights without skipping out on the flavor. Whether you're in need of Seder plans — or are just in search of some creative flow in the kitchen, look no further than Union Square. Breads Bakery, Whole Foods, Rosa Mexicano, and Union Square Wines and Spirits have everything you need for the week to keep things tasty. Breads Bakery is Passover Central. From their specially curated flour-less menu, options are no less delectable than the bakeries regular offerings. Try Chocolate Concord Cake, Almond Joy Macaroons, Orange Marzipan Cookies, and Pizza Brei. This year you can also order a batch of their homemade Matzo Balls in broth. For those who are hosting, Whole Foods is here to help. Whether you need to pre-order a full brisket spread or you're looking for some recipe inspiration, you can easily have your meal planned and prepared. With everything from smoked salmon, traditional charoset, matzo balls, potato kugel, kosher turkey and gefilte fish, let Whole Foods be your one-stop Passover shopping destination. Of course every sedar needs wine. 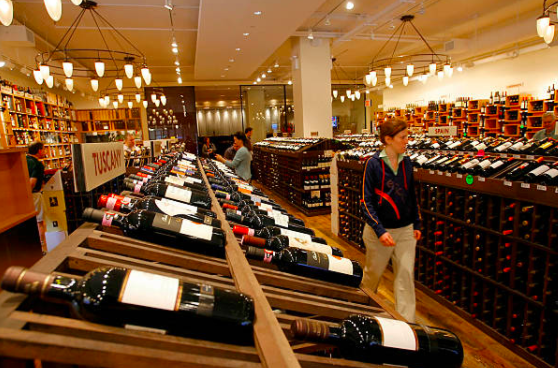 Look no further than Union Square Square Wines and Spirits for an extensive selection of Kosher for Passover wines. Browse online or visit an in-store specialist at 140 Fourth Avenue. L'chaim! For a completely different take on Passover, Rosa Mexicano hosts a Mexican Passover from March 30th to April 1st. The pre-fixe menu costs $55 per person and includes four courses of traditional passover dishes with a Mexican twist. Reservations and menu details.